Africa, also known as ‘Dark Continent’ is famous for its tourist destinations. Some of the countries in Africa are rich in wildlife diversity and make a good revenue out of it. The rich heritage of the place drives tourists to visit it more often. The amazing culture, coupled with beautiful places should make Africa a top option among your checklist of places to visit in the near future. Here are the top 5 attractive places to visit in Africa. Be prepared to be totally stunned by the visual beauty of the place. The largest mountain in Africa, Mount Kilimanjaro is a big tourist attraction, luring millions to visit the place every year. There are plenty of options available in this place which includes mountain hiking, visiting volcanic cones and exotic sightseeing. If you are up for the challenge to climb the highest peak in Africa, be ready for a grueling 6 day hiking challenge that is sure to drain even a professional climber. Try to make use of makemytrip coupons when booking for an adventure tour to Africa. You stand to save money as discounts and cashback when using coupons. Known as Africa’s Greatest National Reserve, Masai Mara National Reserve is home to a lot of plant and animal life. There are around 550 species of birds and over 90 species of mammals in the place. The best time to visit the reserve is between July and October when most of the bird migrations happen. There are also plenty of Wildebeests, Zebras and Thomson Gazelles in the reserve. All of these spectacular wildlife deserve a visit. An obvious place on your travel list must be Egypt. Pyramids and the Sphinx have to be visited to get an idea of how spectacular they are. One of the Seven Wonders of the World, the Great Pyramid in Giza is a visual treat. A visit to the place will let you know more about the ancient civilization and the architectural might of the early Egyptians. The structures that stand have withstood wild weather conditions and is a testimony to great architectural skills. 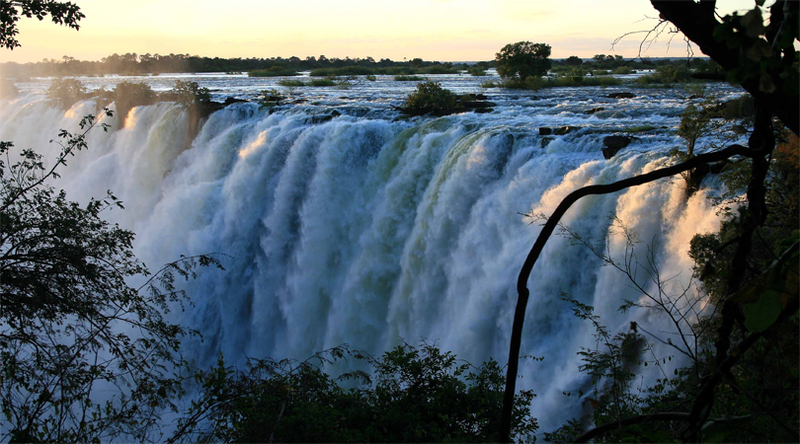 Present in the border of Zambia and Zimbabwe, The Victoria Falls is one of the major wonders of Africa. It is considered to be the largest single sheet of flowing water on the planet. Best viewed during the months of June and July, the falls are spectacular at this time. Some adventure sports also happen in the place. This includes hiking and walking along the trails on the falls. Be ready to have a thrilling experience of a lifetime as you take a visit to the place. One of the most beautiful cities in Africa, Cape Town is known for its amazing beaches and beautiful gardens. The Cape of Good Hope Nature Reserve is one place where you can have some exciting wildlife encounters and hiking expeditions.